County delegates gathered at Sandrock Elementary School on Saturday to decide which local candidates they wanted to make it on to the June primary ballot. • Owner of Best Western Deer Park Inn & Suites, Frank Moe is running against Coordinator for the Office of Emergency Management, Tom Soos. • Lieutenant KC Hume, operations chief at Moffat County Sheriff’s office is running uncontested. •Cornerstone Realty Broker Assistant Chuck Cobb will be running uncontested. • Chief Deputy of the Moffat County Treasurer and Public Trustee Office Linda Peters is running uncontested. • Current Coroner Kirk McKey is running uncontested. • Current Surveyor Peter Epp is running uncontested. 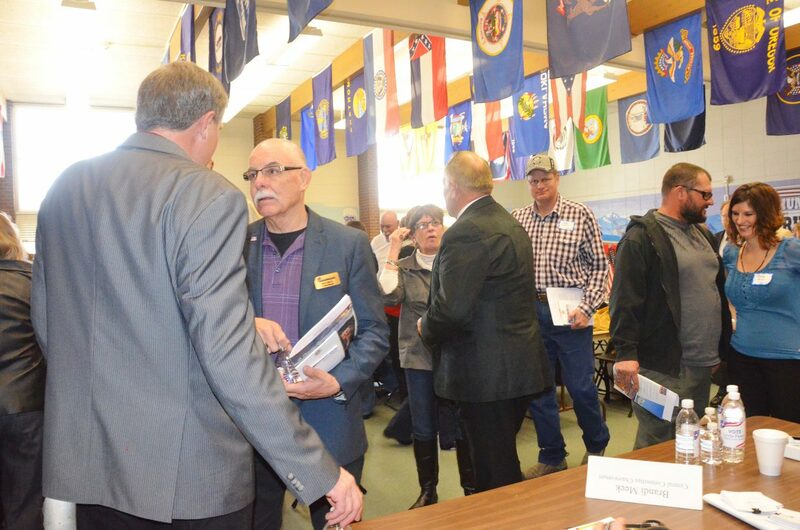 Moffat County Republican delegates gathered Saturday for the County Assembly to decide, among other things, what local candidates would make it onto the June primary ballot. The only contested races have been the county sheriff seat and the District 3 county commissioner seat. Tom Soos, coordinator for the Office of Emergency Management, is running against Frank Moe, owner of the Best Western Inn and Suites, for commissioner. Both candidates got the necessary 30 percent delegate votes to move forward in the election. I’m “just glad to have the support I got, and glad to move onto the next stage of the election,” he said. But the race between Lieutenant KC Hume, operations chief at Moffat County Sheriff’s Office, and Deputy Larry Dalton ended Saturday. Dalton did not receive the required delegate votes he needed to be put on the June ballot, so Hume will run uncontested. I’m “excited, energized and extraordinarily humbled (to have) overwhelming support from the community,” Hume said. Linda Peters, chief deputy of the Moffat County Treasurer and Public Trustee Office, is running for the office of treasurer for the first time. Although she was the only one up for the office, she still felt more confident after getting the votes from the delegates to move on. The assembly of delegates voted to pass all the resolutions the county Republicans wanted to see as their party platform and to send 19 delegates and two alternates to the state assembly April 12. State Rep. Bob Rankin, R-Carbondale, made an appearance to discuss statewide issues and to show support for the process.